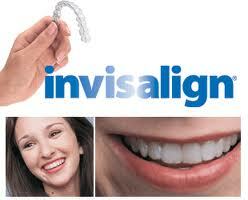 Orthodontics with Invisalign uses a series of clear aligners to move teeth to their ideal position. It can be used instead of conventional braces in many situations. Some tooth colored attachments are often needed help rotate the teeth. These attachments are barely noticeable and are removed at the end of treatment. The aligners are worn nearly 24 hours per day. 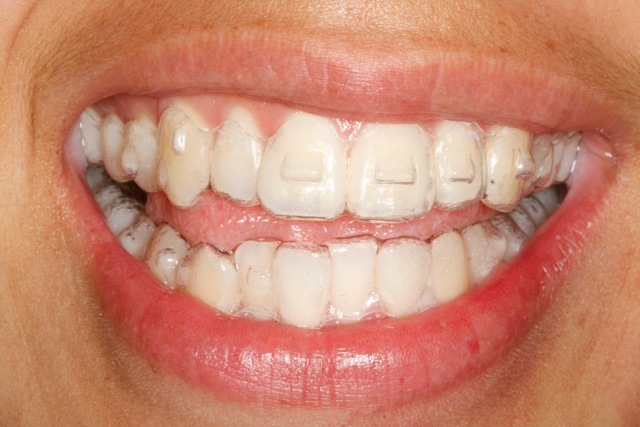 The aligners are removed to eat and to clean the teeth after meals.